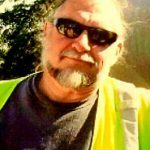 Michael T. Greenlee, 62, a former resident of Spring Grove, passed away April 24, 2017 at Vista Medical Center in Waukegan. He was born May 31, 1954, to Walter and Marion Greenlee. Michael had worked for Walmark Corporation. He was a past member of Ducks Unlimited and was known for hunting, fishing, and enjoying the great outdoors with his loving sons. Michael is survived by his sons Jeffrey and Michael, his brother George (Sharon) Greenlee, his nieces Kelly Greenlee and Kasey (Adam) Kitchen, his nephew Kevin (Mindy) Greenlee, and his great-nieces Piper and Hazel. He was preceded in death by his parents and his brother Jimmy. A memorial visitation is scheduled for Monday, May 1, 2017 from 4:00pm until 8:00pm at Strang Funeral Chapel & Crematorium 410 E. Belvidere Rd. Grayslake, IL 60030. Inurnment will be held on Tuesday, May 2, 2017 at 11:00am at Arlington Cemetery 401 E. Lake St. Elmhurst, IL. For more information please contact (847)223-8122 or log onto www.strangfuneral.org. Victoria Gloria Sychta, 91, a resident of Grayslake and formerly of Chicago, IL, passed away Thursday, April 27, 2017 at Advocate Condell Medical Center in Libertyville, IL. She was born September 21, 1925 in Chicago, IL Joseph and Mary (nee: Szarek) Kruk. Victoria was a member of St. Mary of Vernon and the Vernon Hills Seniors Club. She was a homemaker most of her life, but did work as a secretary. Victoria is survived by her sister Mary Sarnecki, her children Susan (Martin) Sychta, Margaret (Kimbrough) Clarke, Mercedes (Jerome) Balcer, and James (Sharon) Sychta, her grandchildren Nina (Alex) Larson, Scott Balcer, Trevor Balcer, Madeline Sychta, Cassandra Sychta, and Claire Sychta, and her great-grandsons Colton and Clayton Larson. She was preceded in death by her parents, her husband Edward, whom she wed on January 28, 1950, her siblings Rosalie, Joseph, Matthew, Steven, Alfred, Alice, and Thaddeus. A visitation is scheduled for Monday, May 1, 2017 from 3:00pm until 8:00pm at Strang Funeral Chapel & Crematorium 410 E. Belvidere Rd. Grayslake, IL 60030. A funeral mass is scheduled for Tuesday, May 2, 2017 at 10:00am at St. Mary of Vernon Hills 236 US Highway 45 Vernon Hills, IL. Interment will follow at Maryhill Cemetery in Niles, IL. In lieu of flowers, donations may be made to the American Cancer Society. For information, please call 847-223-8122 or log onto www.strangfuneral.org. Joan Audrey Martin passed away on Sunday, April 23rd 2017 in Libertyville Illinois. She was born December 6, 1929 in Toronto Canada, the younger of 2 children to Arthur and Lillian Ockenden. In 1951 she married Harold Ross who was a member of her local Church youth group and later moved to Niagara Falls New York and began a family. Joan was a devoted wife, special mother, adoring grandmother, delighted great grandmother and faithful Christian who spent her life in the service of Jesus Christ and the Christian Church. Joan was also an avid writer of stories for many Christian magazines. She is survived by her sons, Craig with wife Nancy, Randy with wife Louise and Jeff with wife Rica and grandchildren Melanie, Kristy, Andrew, Shannon, Kira and Trevor and many great grandchildren. All services were held privately and entrusted to Strang Funeral Chapel & Crematorium 410 E. Belvidere Rd. Grayslake, IL 60030. For more information please call (847)223-8122 or log onto www.strangfuneral.org. Erlinda “Lyn” Suarez, 72, a resident of Round Lake Heights, passed away on Wednesday, April 26, 2017, at her home. She was born August 22, 1944 in the Philippines to Francisco and Dominga Suarez. Lyn retired last year from Wauconda Healthcare and Rehab Center as a nurse. She enjoyed traveling especially cruises. Lyn loved children, was known for being generous and helpful to everyone, and her love of life. Lyn is survived by her sons Ted (Myra) Calica and Steven Calica, her grandson Elijah, her sister Apolonia Arguelles, and her many nieces and nephews. She was preceded in death by her parents and her seven brothers and sisters. A visitation is scheduled for Sunday, April 30, 2017 from 3:00pm until 7:00pm at Strang Funeral Chapel & Crematorium 410 E. Belvidere Rd. Grayslake, IL 60030. A funeral service will be held on Monday, May 1, 2017 at 11:00am at the funeral chapel. Interment will be held privately. For more information on services, call (847) 223-8122 or log onto www.strangfuneral.org. Jerry A. Zupancic, 65, a resident of Bristol, WI and formerly of Grayslake, IL, passed away Wednesday, April 19, 2017 at his home. He was born September 20, 1951 in Waukegan, IL to John and Jackie Zupancic. Jerry had worked for 35 years for Kirschhoffer Trucking in Zion. He loved his motorcycle and working on projects. Jerry is survived by his wife, Paula, his children Julie (Jason) Munkacsy, Zoup (Cristy) Zupancic, and Renee Zupancic, his step-children Shannon (Juan) Gonsalez and John (Julie) Sorby, his grandchildren Christina, Jason, Elizabeth, Katie, Mia, Logan, Jonathan, Scott, Cole, Dakota, Xavier, Quentin, and Clara, and his sister Jody Zupancic. He was preceded in death by his parents John and Jackie Zupancic and his grandparents Russell and Dede Stickels. A visitation is scheduled for Monday, April 24, 2017 from 4:00pm until 8:00pm at Strang Funeral Chapel & Crematorium 410 E. Belvidere Rd. Grayslake, IL 60030. A funeral service will be held on Tuesday, April 25, 2017 at 10:00am at the funeral chapel. Interment will be held following the service at Avon Centre Cemetery in Grayslake. For more information on services, call (847) 223-8122 or log onto www.strangfuneral.org. Sandra Lee Marsceau (nee Casey), passed away peacefully at The Village of Victory Lakes on Tuesday, April 18, 2017 in Lindenhurst at the age of 61. She was born on December 5, 1955 in Chicago to James Casey and Gwen Capps. Sandra is survived by her children Eric Doxsee and Aimee Hanna; her mother, Gwen Capps; her step-mother, Donna Casey; brothers, John Casey, Edward Casey, James Casey, and Chris Capps; sisters, JoEllen Wells, Tiffany Landers and Crystal Casey-Balling; six grandchildren; and many nieces and nephews. Sandra is preceded in death by her father, James Casey. A memorial service is scheduled for Wednesday April 26, 2017 from 12:00 p.m. until 1:00 p.m. at Strang Funeral Chapel & Crematorium, 410 East Belvidere Road, Grayslake, IL 60030. All are welcome to attend and celebrate Sandra’s life. Flowers and condolences may be sent to Strang Funeral Chapel or to 17824 Twin Lakes Blvd, Wildwood, IL 60030. 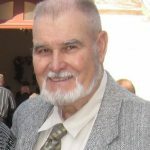 For information, please call 847-223-8122 or log on to www.strangfuneral.org. LeRoy O’Dell. Gwaltney, 82, lifetime resident of Gages Lake, IL passed away Tuesday, April 18, 2017 at his home. He was born July 9, 1934 in Gages Lake, IL to Elza and Grace Gwaltney. LeRoy was a lifetime farmer retiring in 1991 and then worked as a truck driver for Lodesky and Genesis. He was a charter member of the Gagewood Lions Club. LeRoy enjoyed woodworking, gardening, traveling, bowling, and golfing. LeRoy is survived by his wife of 60 years, Judy, his sons Doug (Celena), Dale (Lori), and Dan (Wendy), his grandchildren Morgan, Sam (Camille), Kimberly (Eric), Drew (Michelle), Beth (Alex), Troy, Bryn (Brooke), Joshua, and Ian, his great-grandchildren Alec, Shannon, and Brock, his sister Louise Kutzler, and many other family members to numerous to mention. He was preceded in death by his parents. A visitation and funeral service is scheduled for Sunday, April 23, 2017 from 1:00pm until 4:00pm with a funeral service commencing at 4:00pm at Strang Funeral Chapel & Crematorium 410 E. Belvidere Rd. Grayslake, IL 60030. Interment will be held privately. In lieu of flowers memorial contributions may be made to either the American Cancer Society or St. Judes Children’s Hospital. For more information on services, call (847) 223-8122 or log onto www.strangfuneral.org. Paul Martin Busch, 30, of Elkhorn, WI, passed away April 14, 2017 at his home. He was born May 6, 1986 in McHenry, IL to Martin Busch and Pamela (nee: Lavallee) Blair. Paul was a member of the Local 802 Painter’s Union, taking pride in all his painting jobs. He enjoyed fishing with his friends and wife. His Mustang was his favorite item in life. He enjoyed listening to Johnny Cash and the Doors. Paul was a handyman and enjoyed grilling. Paul was the life of the party, he would walk into a room full of people and make the whole room smile. Most of all he loved his children and his wife. Paul is survived by his wife, Tasha, they were together 10 years and met when they were 16, his children James, Johnathan, Liliana, Tony, and Jackson, his father, Martin Busch, his great-grandma Helen Busch, his brother Randall Grayburn, his step-sister Angela Blair, step-dad Timothy Blair, step-mother Sherri Busch, his nephew Mason Grayburn, his aunts Karen Sparks and Carol Gurgal, his cousin Adena Sparks, and his father-in-law Juan Zavala. He was preceded in death by his mother Pamela, his grandpa James Busch, his grandma Beverly Lavallee, his uncles Mark and Steven Lavallee, and his best friend Daniel Rowe. A visitation and funeral service is scheduled for Saturday, April 22, 2017 from 4:00pm until 8:00pm with a funeral service commencing at 8:00pm at Strang Funeral Chapel & Crematorium 410 E. Belvidere Rd. Grayslake, IL 60030. Interment will be held privately. In lieu of flowers, please make donations to the family. For more information please contact (847)223-8122 or log onto www.strangfuneral.org. Richard James Kuzmanoff, 66, a resident of Third Lake, passed away Thursday, April 13, 2017 at Glenbrook Hospital in Glenview, IL. He was born January 11, 1951 in Gary, IN to Chris and Louise Kuzmanoff. Richard was retired from CNA Insurance and XL Catlin Group. Richard is survived by his wife of 41 years, Anna, his sons Joseph, Christopher (Misty), Alexander (Casandra), Richard Jr. (Chika), and Douglas, his grandchildren Anastasia, Oliver, Sloan, Hazel, Kairu, Kazuru, and Kanasa, and his siblings Jeff (Susan), Kathryn (Jim) Russell, Nancy, and Amy (Matt) Dippel. He was preceded in death by his parents and his brothers Chris, Jim, and Russell. A memorial visitation and service is scheduled for Saturday, April 22, 2017 from 10:00am until 12:00pm with a memorial service commencing at 12:00pm at Strang Funeral Chapel & Crematorium 410 E. Belvidere Rd. Grayslake, IL 60030. In lieu of flowers memorial contributions may be made to the family to be used for a donation to the Boy Scouts at a later date. For more information on services, call (847) 223-8122 or log onto www.strangfuneral.org. Robert John Forsman, 83, a resident of Round Lake Park, IL, peacefully passed away Saturday, April 8, 2017 at Advocate Condell Medical Center in Libertyville, IL. He was born May 13, 1933 in Detroit, MI. His parents, Alpheld and Edward Forsman, raised their family in Crystal Falls, MI where Robert had many fond memories. Robert served in the Korean War, and was very proud to be able to defend his country. Robert retired from the US Navy after 20 years of service. Robert is survived by his son Joseph (Jennifer), his grandchildren Joshua, Jacob (Katherine), Ethan, and Matthew. He is also survived by his sisters Marge Farmer and Phyllis Batdorff, as well as many extended family members. Besides his parents, he was preceded in death by his wife Grace (DeLuca) Forsman (1939-2006) and his daughter Susan Forsman (1961-1975). A visitation and funeral service is scheduled for Saturday, April 29, 2017 from 10am until 11am visitation with the service commencing at 11am at St. Paul the Apostle Church 6401 Gages Lake Rd, Gurnee, IL 60031. All funeral arrangements were entrusted to Strang Funeral Chapel & Crematorium. For more information please contact (847)223-8122 or log onto www.strangfuneral.org.